PFPP has helped many patients and their families realize they are not alone in dealing with their kidney disease and there is support available. The nationally-recognized Patient & Family Partner Program trains and certifies volunteers who have experienced kidney failure themselves, or who have been part of the support team for a loved one with kidney failure, to serve as Certified Partners (mentors) and provide support to patients and caregivers. This program has been generously supported since 2014 by a grant from PCORI (Patient-Centered Outcomes Research Institute) to Penn State College of Medicine (PI: Dr. Nasrollah Ghahramani) to study the impact of peer mentoring on the quality of life of patients with CKD and their caregivers. Once diagnosed with Chronic Kidney Disease (CKD), patients and their families begin the long navigation process through the many complexities associated with chronic illness. Highly trained medical teams specialize in their prescribed areas of expertise to assist the patients in their treatments, monitor their progress and help them work through the challenges they face in dealing with the complete life-change they are experiencing. How can the PATIENT & FAMILY PARTNER PROGRAM help you? With the consent of the Central Pennsylvania Nephrology community, the Kidney Foundation of Central Pennsylvania provides one final piece of patient-support: the Patient and Family Partner Program (PFPP)—emotional support from “someone who has been there.” This is something often overlooked, yet is a vital piece of patient care. The objective of the PFPP is to lessen some of the anxiety and stress that people experience as they try to cope with kidney failure. Patients and family members who have already faced these challenges and have learned to cope can be a great help to others still adjusting to their disease. Although medical teams will offer a variety of support options to their patients, their time limitations and, in most cases, lack of personal experience with kidney disease makes it difficult for them to offer any emotional support. A KFCP Certified Partner (CP), however, can provide companionship, a listening ear and emotional support to help a person with CKD and/or family members during their adjustment process. 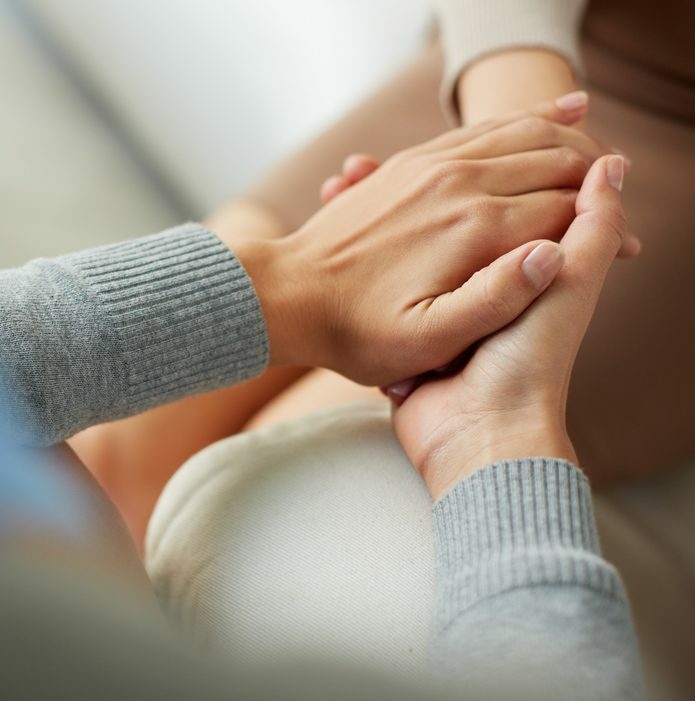 Social Workers are often the first to identify a struggling patient or family member who may benefit from a Certified Partner relationship during some of the most difficult times. Currently, we offer the Patient and Family Partner Program in Cumberland, Dauphin, Lancaster and York Counties, as well as their neighboring areas. If you or a family member would like to explore being matched with a KFCP Certified Partner, please contact your Social Worker or contact the KFCP Program Coordinator who will help you begin the process. John and I had a rewarding and immeasurable experience during our Patient & Family Partner Program (PFPP) Training. The program enhanced our knowledge of this challenging illness— Chronic Kidney Disease (CKD). As newly certified partners, the training provided invaluable information concerning nutrition, patient’s quality of life, and expectations of the medical team, caregiver, and patient. Most significantly, the program provided us the opportunity to listen, interact, and communicate with other class participants. Additionally, personal experiences were shared. The sharing of both positive and negative experiences was evidence that ‘no one is traveling this CKD journey alone.' Thanks to the Program Coordinator and Presenters for delivering an excellent PFPP Training. The program far exceeded our expectations. We highly recommend this program! Submitted by John Leak (patient) and Dee Leak (caregiver) on May 4, 2015. Looking to help another that has walked the same path as you have? Talk with a member of your medical team about your interest in becoming a trained KFCP Certified Partner. Upon recommendation of a medical professional we would welcome your application to the next Certified Partner Candidate training session in your area. *We do not allow patients, caregivers and donors to self-refer to the PFPP. Whether you are in need or ready to serve—patients, caregivers and donors are all welcome to explore the Patient and Family Partner Program.